Ujjwala scheme: Are cleaner cooking fuels affordable and accessible? Sima Devi has little clue that she marks a proverbial big bang moment in India. The 27-year-old from Ballia district of Uttar Pradesh is among the first few women who have received free gas connection under the biggest-ever energy programme worldwide to push people towards cleaner cooking fuel. But to her it is more significant how gas has made cooking convenient for her. When Down To Earth (DTE) visited Sima Devi’s two-room house, still under construction, in Takarsan village, she quickly lit the gas stove to make tea for the guests. She says simply making tea over a traditional chulha (clay stove) would have been taxing for her in her present condition—she is pregnant for five months. Lighting a traditional chulha takes a few minutes and then one can only cook sitting on the floor, something inconvenient for pregnant women. She has to prepare a meal for a family of five twice a day. This would mean spending four-five hours every day inhaling the smoke that would get into her eyes and lungs. Her two children would also be exposed to the smoke. The gas cylinder has surely made her life easy, she says. Just above the stove, a sticker proudly announces that the gas connection was given by Prime Minister Narendra Modi under Ujjwala, short for Pradhan Mantri Ujjwala Yojana. Under this scheme, families below the poverty line (BPL) can get free LPG (liquefied petroleum gas) connection. Like Sima, Guddi Devi of Jignikhas village in Ballia, too, received LPG from the prime minister. But she has refilled her gas cylinder only four times in the past one year. An average family would need about 13 cylinders of 14.2 kg each in a year. She finds refilling too costly. “For a family like us, Rs 800 (for a 14.2 kg cylinder) is a big amount,” she says. Her husband Subba Prasad brings two chairs and invites the DTE reporter under the shades where two cows and a calf are idling. It is visible that these cattle play a significant role in their life. They get sufficient cow dung for cooking. Fuelwood too is easily available. It is, therefore, no surprise that Guddi Devi has refilled the cylinder only four times. However, she acknowledges that “cooking on LPG is quite easy compared to the traditional chulha. Smoke from traditional chulhas brings cough and tears.” Hundreds of kilometres away in Odisha’s Boudh district, Rajkumari Geja is not sure if she can continue cooking with gas. “The price of the cylinder is increasing with successive refills. I paid Rs 900 for the sixth one,” she says. 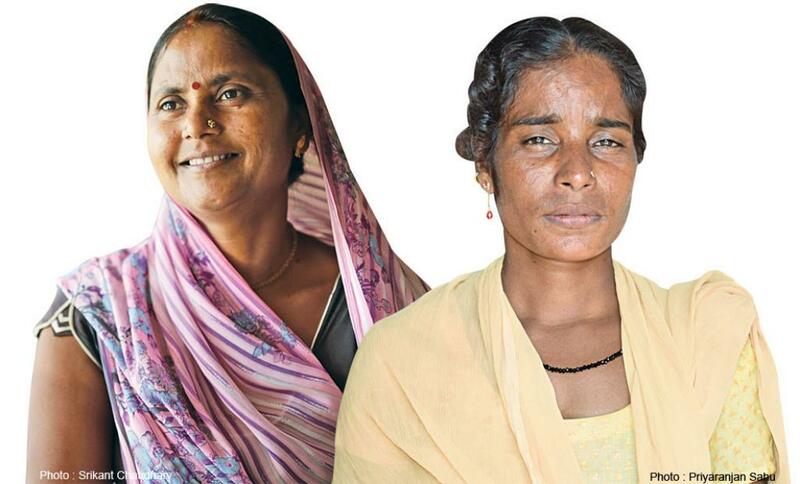 The 42-year-old lives in a thatched house along with three daughters, a son and a husband, who is a marginal farmer. Geja says she may return to firewood if the price keeps increasing. 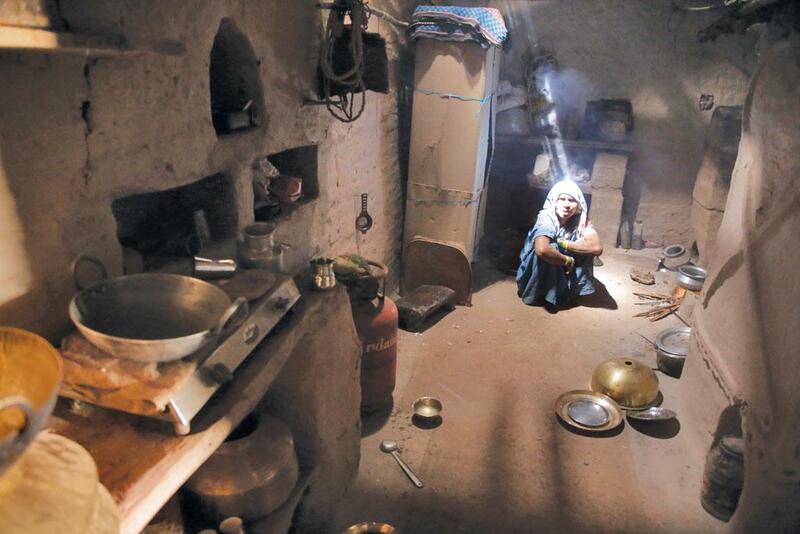 In her house, a cylinder lasts for about 26 days, while 200 kg of firewood, costing Rs 500, lasts beyond a month. It seems Geja is buying the LPG cylinder in black. People in this economically backward village, Bhaliapadar, have not seen the office of the “gramin vitarak”—village LPG distributor especially appointed under the Ujjwala scheme—around 25 km away in neighbouring Subarnapur district. They get the cylinders refilled from a shop selling eggs at a market 4 km away, after their sons or husbands carry them on bicycles. As the transactions are without any receipt, they are obviously buying cylinders in black market. DTE had visited districts with least LPG connections in these states as per Census 2011, hoping that these districts would show the real impact of the programme. It is clear that most women prefer cooking on LPG but refilling remains a challenge for two reasons: affordability and availability. This is a far cry from the days when the government would distribute improved chulhas and within a few months women would stop using them. Or they would modify them to suit their needs, and in doing so they would render the “improved” chulhas no cleaner than the traditional ones. For 30 years India tried to improve the design of chulha to reduce air pollution but failed. Since the push for action on improving chulhas came from the global climate change agenda, and not health concerns, solutions offered were half-baked and even counter-productive, says Sunita Narain, director general of Delhi non-profit Centre for Science and Environment (CSE) and editor of this magazine, who has followed efforts to reduce pollution from chulha in India for two-and-a-half decades. The improved chulhas were not customised for use in rural areas. They are still not-so-clean or impractical or expensive. While urban India rapidly switched to LPG, as a comparison of the NSSO data for 1993-94 and 2009-2010 shows, rural India is stuck with using polluting biomass—fuelwood and dung cake. In 2009-10, as many as 76 per cent households in rural India were using biomass for cooking. That’s because LPG was available in cities at a subsidised cost but not in rural areas. As per Census 2011, nearly 121 million house-holds are still in the chulha trap. This takes a huge toll on the health of women and children. Indoor air pollution is now the second biggest killer in India after high blood pressure. Two persons die prematurely every minute in India due to indoor pollution, according to the 2010 Global Burden of Disease. In 2014, the WHO set guidelines for indoor air quality. Cost-effective and easy-to-disseminate commercial stoves are far from meeting these guidelines. It was against this backdrop that the Modi government launched the Ujjwala Yojana on May 1, 2016. But before this it had done two things to make the transition to LPG easier. One, it began transferring the subsidy amount directly into the bank account of the customer. Since LPG is now sold at international prices, its illegal diversion to other sectors has reduced. Two, in March 2015, the prime minister made an appeal to the middle-class to give up their subsidies in favour of the poor women. Some 13 million people have foregone their subsidy. It was a brilliant strategy to treat LPG subsidy as an asset, says Kirk R Smith, an expert on household energy use (See ‘LPG, an asset’,). Under Ujjwala, the government aims to give 50 million LPG connections to BPL families by 2019. For this, it has allocated Rs 8,000 crore. Within a year, the government had distributed more than 22 million LPG connections, exceeding the target of 15 million. Uttar Pradesh has benefitted the most, with 5.8 million LPG connections by now, followed by West Bengal with 3.9 million connections (see map, p38). “We have covered all states and 694 districts,” says K M Mahesh, deputy secretary (LPG), Ministry of Petroleum and Natural Gas, who is the key officer for the programme. Supplying clean fuel to Indian kitchen is catching both public and political imagination. Starting from elections to panchayats to Assembly elections, the ruling Bharatiya Janata Party is using the Ujjawala scheme as its “pro-poor” agenda. The scheme is also getting attention outside India. If Ujjwala succeeds it will change global statistics related to indoor pollution and health, Michael Kelly, deputy managing director of the World LPG Association, tells DTE. This is because India tops the list of countries relying on biomass for cooking. Kelly says there is no other example worldwide of this scale which talks about access to energy. Only Indonesia’s 2007 project to distribute 3 kg LPG cylinders to 50 million families comes close. How could the government achieve this? First, it brought down the upfront cost. 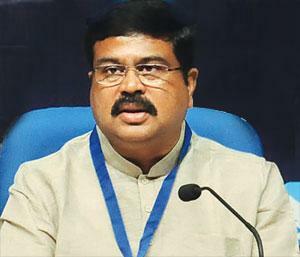 Earlier, an LPG connection would cost Rs 4,500 to Rs 5,000, explains Dharmendra Pradhan, Union minister of state for petroleum and natural gas. “We purchased in bulk, thus, it cost barely Rs 3,200,” he adds. Of this, the government gives half the money as a one-time grant. This grant of Rs 1,600 covers the cost of a 14.2 kg cylinder, pressure regulator, hose and miscellaneous charges. They have to bear the cost of a two-burner stove, which comes to another Rs 1,600. If they cannot bear the cost of stove, they can get a loan from oil marketing companies. Thus, one can get the LPG connection for free under Ujjwala. But once a BPL family has got the connection it gets no further support from the government. It has to refill the cylinder at the market cost like anyone else. And if the family has availed a loan at the time of taking the connection, it will have to shell out more money for the first few refillings than the well-off families in cities do. Here is why: refilling a cylinder costs between Rs 450 to Rs 800, depending on where one is living. The subsidy on this also varies from state to state and is roughly a fourth of the cost of cylinder. This subsidy is transferred to the buyer’s bank account. But those who have taken a loan would not get the subsidy because the subsidy on refilling is treated as the EMI. Recovering the loan of Rs 1,600 typically takes seven to eight refillings. Once the loan amount is recovered, the subsidy resumes and is transferred to the customers’ bank account. Refilling is, therefore, the toughest part. That’s the reason many of the 80 families in Bhaliapadar village of Boudh have not opted for the LPG connection despite being eligible for it. Most of them belong to the Scheduled Caste and have marginal or no landholding. In Uttar Pradesh, more than 75 per cent people have opted for EMI. Several households DTE visited in Uttar Pradesh as well as other states were not refilling cylinder regularly. Besides, LPG usage in villages depends on what other fuels are available. Since many families get cow dung, crop residue, twigs and fuelwood free, they ration their use of LPG. Sujata Manjhi of Itpal village in Bijapur district of Chhattisgarh says, “Refilling is costly, whereas we are staying close to the forest and the fuelwood is free.” The Gond and Baiga tribals of Chandragarh village in Dindori district of Madhya Pradesh, too, spend nothing to collect firewood from the forest. The Union petroleum minister had said on the occasion of celebrating one year of Ujjwala Yojana that nearly 85 per cent of the beneficiaries had come back to refill their cylinder. These include those who have refilled only once or twice and the remaining 20 per cent have not come back. A little mathematics can explain the challenge a poor family faces. Let’s take the example of a BPL family in Odisha. A person is said to be below the poverty line if his daily income does not exceed Rs 33. Going by this criterion, if a family has five members its maximum earning will be Rs 4,950 a month. When DTE visited Boudh district in June, the price of a cylinder was Rs 538 without subsidy and it would last nearly a month. Subsidy on this was Rs 57. So, the effective cost for a user was Rs 481. Going by these figures the monthly cost of LPG for a BPL family comes to 9.7 per cent of its monthly income. Add to this the transport cost. In contrast, an average rural household spends close to 6 per cent of its monthly budget on cooking fuel, as the NSSO estimated in 2009. If this BPL family lives in a state where a cylinder costs more, then his energy budget goes up. This then is the challenge: how will the poorest buy their way to clean energy? Clearly, switching to LPG is a big economic and behavioural shift for BPL families. “You can promote behavioural change by (doing) two things,” says Ambuj Sagar, professor of policy study at IIT Delhi. “One, by making the new technology affordable to people, by which I mean giving different amounts of subsidy to different people; grading the subsidy according to the economic strata.” Two, by making people more aware of the benefits of LPG. “Some benefits they can see, like the ability to fine-tune the flame. But benefits like improvement in health may not be so clearly visible,” he adds. Villagelevel ASHA workers can be roped in to create awareness about the illeffects of traditional chulhas. This will create a bottomup demand for cleaner fuels. But one shortcoming of the scheme is it does not take into account the gender aspect of access to clean energy. In rural houses where men are sole decisionmakers and breadwinners, it could be tough to switch to cleaner fuels even if women appreciate the benefits. This might indeed be the case. Shruti Sharma, project coordinator at the International Institute for Sustainable Development (IISD), says women in villages are already aware that cleaner fuels like LPG help them save time, improve respiratory health and reduce time spent on cooking and collecting fuel. IISD’s research has found that women benefit far more by adopting clean cooking fuels—they save five hours a week cooking on LPG compared to biomass. They and children are also the biggest victim of carcinogenic chulha smoke. “Rural women are keen to shift to cleaner fuels,” Sharma says. If only these fuels are affordable and accessible. Or the man of the house is willing to go the extra mile. Another challenge before Ujjwala is the distribution of LPG in remote villages. One reason some of the improved chulhas did not work was the unavailability of standardised fuel—coal pellets, for example—on which they were designed to run. LPG cylinders are distributed by three oil marketing companies in India, namely Indian Oil, Bharat Petroleum and Hindustan Petroleum. These companies appoint dealers and distributors all over the country. In the past three years more than 5,000 LPG distributors have been added in the country, according to the petroleum ministry. Close to half of these distributors have been recruited in the past 16 months alone. However, this is not yet sufficient. Gas agencies have to provide door-to-door facility, but most people DTE met in Odisha said none of the distributors delivers cylinders at their house. Many women carry the empty cylinder in three-wheelers over a distance of three to 15 km. Agencies, on their part, say in the face of no return after huge investment, it is difficult to provide door-to-door service. “Although I send a pickup van every month to panchayats, no one comes to exchange cylinders,” says Parmeshwar Pandey, the distributor from Dindori. Many distributors claim it is due to the pressure from the oil companies that they have given connections to the poor. Since the distributors are not willing to go to remote areas this leaves scope for middlemen who either overcharge or divert the gas to restaurants, hotels or marriage functions. In at least a dozen villages in Shravasti and Boudh districts DTE found that people were charged money by “unknown” middlemen. Officials of the LPG marketing companies admit that the low refill booking and commercial diversion of cylinder are areas of concern and say they are trying to address this. Markets do a bad job of servicing poor households, says Narain of CSE. The government will, therefore, have to find creative solutions. At present, the programme is designed with one-size-fits-all approach, says Ashok Srinivas, senior fellow at Prayas Energy, a non-profit in Pune. While the petroleum minister says the government is strengthening the supply chain, other energy experts have suggested diversifying fuel options and making cylinders in different portable sizes available. “To ensure the availability of LPG 24x7 on doorstep is impossible, people will continue to use traditional methods of cooking. So there should be an effort to improve these traditional technologies also to make them cleaner,” says Priyadarshini Karve, CEO of Samuchit Enviro Tech, the maker and trader of cooking devices that run on biomass. Since biomass is abundantly available in Indian villages, the government should continue its efforts on clean cookstoves and community-based biogas plants, so that the poor have alternative cleaner fuels. When the programme was launched, Srinivas had suggested that the initial few refillings should be further subisidised to help the poor families. If this is what it takes to get the millions of poor out of the chulha trap, then it has to be done. India cannot leave this crucial initiative midway. To implement this plan your ministry is relying more on private players, like district nodal officers of oil companies, than on government officials. Why this rare decision? No, they are not private players. They are regular Government of India's executives. LPG cylinders are distributed by the Government of India's marketing companies that appoint dealers and distributors all over the country. A network of company executives supervises their marketing effort. There is a perception among society that political parties and governments are just to make announcements; they are not serious about implementation. This was the challenge in front of the prime minister. He gave us a philosophy that whatever we announce, we will prioritise delivery from day one. Keeping this in mind, we made a strategy that somebody is needed to ensure delivery. Somebody should be held responsible if the rules are not followed. We were pondering over this when we thought of district nodal officers. In some districts people are asked for money for LPG connections. What are the checks and balances to stop such practices? I don't agree with what you are saying. To avoid the role of middlemen, we have been taking applications and distributing the LPG connection publically like in melas. The officer who goes for distribution asks publically whether any of the beneficiaries has given money for taking connection. I can say with full responsibility that the role of middlemen in the scheme is negligible, though I am not claiming it is zero. If we get information about specific cases, their money will be refunded. More than 75 per cent people in Uttar Pradesh have opted for EMIs. This means they will not get the subsidy for the first few refillings. Don't you think it is demotivating people? If it is demotivating, why have 5.2 million people in Uttar Pradesh taken the LPG connection, and more than 22 million in the country? Earlier, a normal LPG connection would cost more than Rs 4,500. We purchased it in bulk, thus, it costs barely Rs 3,200. Of this the government gives Rs 1,600. Are you not able to see this as a motivating factor? Our thought is if they are playing a participatory role, only then will they take the responsibility of using the gas. Some experts say the programme is designed as top-down and focuses on one clean fuel. These experts were present earlier also and were focusing on one area, that too on chullha. A number of models were launched but failed. When we came to power, LPG penetration was 62 per cent. It has reached 71 per cent. See it this way: when we came to power total 140 million LPG household connections were there; it has reached 200 million today. In 60 years, the system had given just 140 million LPG connections, while we have added 60 million in three years. These so-called experts speak based on conventional thinking. The change in the past three years shows we are moving towards universal clean cooking fuel. Barely 28 per cent people are left without the LPG connection and in the coming two-three years, we will achieve almost 99 per cent penetration. The LPG distribution network is present pan India and we are rapidly working on whatever gap is left. Thus, there will be no issue related to accessibility. Other than this, two more clean fuels are in the market. We are reaching towards universal electricity. Then, the PNG (piped natural gas) connection is increasing rapidly in India. We are working in a direction that all three cleaner fuels, LPG, PNG and electricity, will be available to all households in five to six years. A few bottlenecks remain like lack of awareness and availability of refilling stations. How does the government plan to tackle these? I accept this. Almost 500,000 women lose their lives due to domestic pollution. Even today, people in some areas are forced to get the refilling done from a distance of 50 km. We are not just increasing the penetration, but the whole chain—domestic production from refinery, bottling plants, terminal, pipelines, tracker management and cylinder- manufacturing points. We have prepared strategies that a family will have to cover maximum 10 km for refilling the cylinder. Regarding lack of awareness, all our companies have launched campaigns. We call them safety clinic. In the coming years, we will target 50 million women and make them aware of the benefits of using LPG. Nearly 3 billion people worldwide, including many in India, still use simple biomass fuel for cooking, when more than 60 per cent of the world population uses gas and/or electricity—fuels that are clean at use. The resulting air pollution exposure is thought to cause 0.9 million premature deaths annually in India, with the greatest risk for women and children. About 700 million of the poor were stuck in the chulha trap for at least 25 years. Until recently, there were no special programmes or efforts to accelerate growth in this population. Starting in 2015, the Government of India and three oil marketing companies in the country embarked on three programmes to actively promote LPG to the poor—each pioneering, aggressive and relying on both sophisticated social marketing and what is summarised as JAM (electronic bank accounts or Jan Dhan, biometric ID cards or Aadhaar, and mobile phones). The first programme, Pahal, shifted the payment of fuel subsidy to people’s bank accounts and thus all LPG is now sold at international rates in the market, greatly reducing its diversion to the non-household sector. The second, Give it Up, persuaded middle-class households to give up their subsidies. The third, Ujjwala, under way now, will provide free connections to a total of 50 million poor households by 2019. The result is a remarkable increase in the historically modest expansion of LPG connections focused on the poor. The country expects to cover 90 per cent of all households early next decade, although the official target is 80 per cent by 2019. What is the cost of the LPG programme in India? 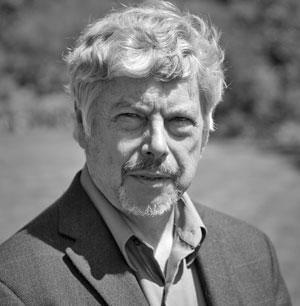 Not so easy to say because in 2015 the programme first greatly cut the inherent waste in the past subsidy system, saving probably many hundreds of millions of dollars a year that was going to restaurants, etc, instead of households, but complicated to determine due to changes in international fuel costs. In addition, it persuaded, to date, some 13 million middle-class households to give up their subsidy that was shifted to poor households—something like a $1.5 billion (Rs 9,600 crore at current exchange rate) internal “foreign aid” programme over 10 years from the well-to-do to the poor. Much of the additional funding came from the corporate social responsibility funds required to be spent by corporations by recent changes in Indian tax laws. The government has committed $1.2 billion (Rs 8,000 crore, as announced by it) today to the current programme through 2019, but this is less than the other major inputs and still results in a net saving to the taxpayer from the situation before 2014. It was a brilliant idea to treat the old LPG subsidy as an asset, if shifted and targeted well, rather than a liability and embarrassment as most of us had thought. None of this came from the health or environment sectors, which nevertheless will be benefiting. Nor has it affected the budget of the renewable energy ministry, which still runs the biomass stove programme. With 18,500 distributors, each with 30-40 employees operating house-to-house, and plans to hire 10,000 more distributors, the LPG industry will soon have an army of half a million outside of cities to promote and service its product. It will also have a well-functioning infrastructure from port to household to keep it going, a high degree of quality control and transparency (a national website with every LPG customer), and it will be moving toward near-universal cashless transactions via JAM. This is substantial job creation and contribution to the national economic agenda. Now ways are needed to incentivise people to use LPG. The article was first published in August 16-31,2017 issue of Down To Earth magazine under the headline "India steps on the gas"